Periodically, we need to check folks grownhead credentials. I mean we gotta be sure you’re really down and not some spy, a poser, an undercover gangster (reformed gangsters are fine). Soooooo, you truly are a grownhead IF…. 7)…you remember patiently waiting for your favorite song to come on the radio so you could hurry up and hit record — bonus points if you wrote the song names on the tape’s label. 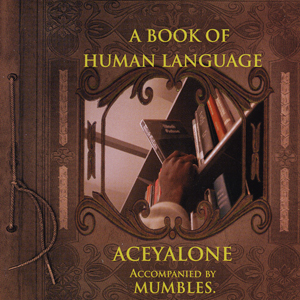 Aceyalone’s Book of Human Language is the Best hip-hop album ever. This is not an opinion. I remember when I first heard the album. My boy Neil used to send me tapes of stuff he got from Amoeba, Rasputin’s and Leopold’s during his excursions on BART back when he lived in Oakland. He sent me a Maxell cassette with the Slim Shady EP on one side and BOHL on the other. At first, I was bumping the Eminem side because it was catchy. I played “Just the 2 of Us” and “Murder Murder” to the point that I cannot listen to them anymore. I tolerated BOHL on the other side, passing the time waiting on Eminem’s sick humor. This goes to show you how imperfect I am. As a person who is almost snobbish in my lyrical passion, I slept HARD! I wanted an “All Balls Don’t Bounce” Part 2, and BOHL was not that. It was way more important and I was just too embarassingly stuck on stupid to see it. I even recall talking to Neil on the phone and telling him about Acey’s sophomore slump. This was a decade ago. I could say I had a lot going on in my life at the time — but that is just an excuse. Music gets me through my day. It makes me smile when I should justifiably frown. If you knew what made me tick/ It would probably make you sick/ Lay my days of my life in front of you/ And I will let you take your pick… Pull back the curtains/ But make sure that you are certain/ That it will be worth the energy/ That you end up exertin. This was the time in my life where my Pantheism was evolving into atheism. I was pretty vocal about shunning beliefs and replacing them with facts. That line gave my thought process pause. I had to think about my stances a bit more — in a Neo/Morpheus kinda way. But it didn’t stop there! “The orthodox IS the unorthodox/ They just got you by the name/ The insane and the sane are the same.” It’s almost like Lao Tzu wrote it. Slowly, the motives of the songs started creeping in. Acey explained that every song was a chapter. The title of the album is exactly what it is. He goes over a cross section of things that make up the human experience. So far on my radar, time and balance were tackled. As I thirsted for more, I slowly forgot about the Slim Shady EP. Every song has its rightful place in the concept. Even when he cites Lewis Carroll’s “Jabberwocky,” it fits in. There really is no stand-out track per se; you need to hear the whole thing to feel what he is doing. Some of his one-liners could be the basis of entire dissertations, though. For example, in “The Faces,” he says: “To live and die is the plot but your face is the hook.” What comes to your mind when you read that? The guys who actually sung the Milli Vanilli songs? Or Jennifer Holliday? What about Sarah Jane from “Imitation of Life?” Or the prostitutes on your local hoe stroll? Obama? Hillary? Kucinich looking for his precious? Jamie Hector or Michael K. Williams on casting calls? Minstrel shows? The list is infinite and the line is everlasting. The last song on the album is called “Human Language.” With this song, Acey deviates from the overall theme and gets personal. He is going over his positive attributes, while at the same time it feels as though he is going over mine (after all, we do have the same birthday). It is almost like he is bragging about how dope his mentality is. That song was my anthem for a few years. Someone needs to put the line “Subliminals controlling all of y’all/ but they won’t take mines away!” on a T-shirt. That song (along with the entire album) was listened to ad nauseum. Yet, I am not tired of it. I know every word and every place to pause to insure breath control. Hip hop has never made an album like this, and it seems as though it will never make another one. Acey got 2.5 mics in The Source and not many people bought the album. People complained that they didn’t want to think as they were entertained. I could not say much because I felt the same way on my initial listen. Experience is the best teacher. I am a better listener now. Median hails from North Carolina and rolls with the Justus League. Now for some of the name means superheros and villians, but to others its the name of the clique that spawned Little Brother (or did Little Brother spawn them?). 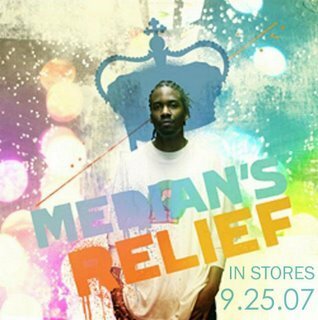 Median had a few guest apperances that caught the ear of the underground and eventually led to his 2007 release Relief. Featuring production from 9th Wonder and others the album isn’t a certifiable classic, but a pretty good record nontheless to get your listen on to. As always these are not the complete songs just clips of the songs, long clips (about 90 sec) so you can get a feel for the music. If you like what you hear BUY THE CD. If you want real hip hop or at least different hip hop to flourish we gotta support the artist. Straight om the links of The Hip Hop Purist comes the Grouch. The Grouch is down with The Living Legends crew that started in the bay area, other members include Murs, Eligh, and the Mystik Journeymen. This video comes from the The Living Legends 2006 release Legendary Music. Check them out here for more info. Welcome to the Stackdough School of Business, where our motto is “Get Rich, or Die Tryin’.” In today’s orientation, we’d like to share with you how Stackdough differs from other schools of thought (like the Hardknock School of Life). 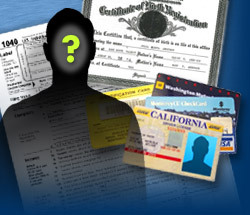 We’d like to dispel the following misconceptions many prospective students believe to be true. IT TAKES MONEY TO MAKE MONEY: Not so much. Many of you are waiting for ‘investors’ and ‘capital’ before you launch your venture. Please stop. At Stackdough, we’ve adopted a ‘run before you walk’ philosophy. If you want to design t-shirts, start with one and get a buyer. Either have them pre-pay for it or beg/borrow (no stealing!) the money to produce it. Cost out everything related to producing individual units in order to set a price that furnishes the dough for the next 2 units. Let your customers cover your costs until you have enough to increase your production schedule. If you want to build up 3-6 months of reserves, you might be waiting a minute. Start small, start today. DON’T GET HIGH ON YOUR OWN SUPPLY: You better light it up and pass it! Since your Stackdough business must be legal, we mean this figuratively. Be your best advertisement! If you customize kicks, start for cheap by revamping a pair of your own AF1s that don’t have to be crispy clean to be your walking billboard. If you’re a fashion designer, you should wear your stuff — and only your stuff — until enough people start asking you where you shop. If you write, maintain a (free) blog so you are constantly producing and refining how to write for an audience and meet your self-imposed deadlines. If you don’t believe in your product, why should the world? YOU’RE JUST A WANKSTA, YOU NEED TO STOP FRONTIN: There’s really nothing wrong with frontin’ — in a productive way. Other b-schools will tell you to “act as if.” That’s when you take a wad of ones and cover it with a C-note and a rubber band. Better to have 60 ones underneath a hundred, than 1 one and no hundreds. Maintain a business-like presence and people will take you seriously. Remove words like “tryna” and “bout-ta” from your vocab. Replace “I’m tryna launch this label. I’m bout-ta holla at Russell about my joint” with “I’m a label owner in the process of connecting with artists and larger labels for partnerships.” Get a professional business card on glossy heavy card stock with whatever title you want to give yourself, a Google domain name and hosting, and you’re in business for little of nothing. So, your homework assignment until our next session is to detail how you’re going to remove the myths to success that have stopped you from advancing. Get dem dollars! It’s no secret that the ladies loved Cool J—but just as many dudes count him among the best. Young cats may judge him on post-millennium party cuts and that damn Diet Pepsi commercial (the wacknessss), but you and I know better. LL has managed an almost unmatched feat: remained (mostly) relevant in the rap game for more than 20 years. Say what you want about Walking With a Panther, that is some amazing ish… Cool J wears many crowns: Greatest Of All Time, Groan-inducing (not in a good way) Loverman MC, and Weird Food Referencer (“Floticious, skeevy, delicious,” “Pudding is delicious,” “Pink cookies in plastic bags, getting crushed by buildings,” and of course, the ever-tasty “Cool J cookies”). Perhaps forgotten is how straight-up hard his flow could be. Here to remind you is this list of his five hardest-hitting songs. We have to take you back to the beginning — well, almost the beginning. 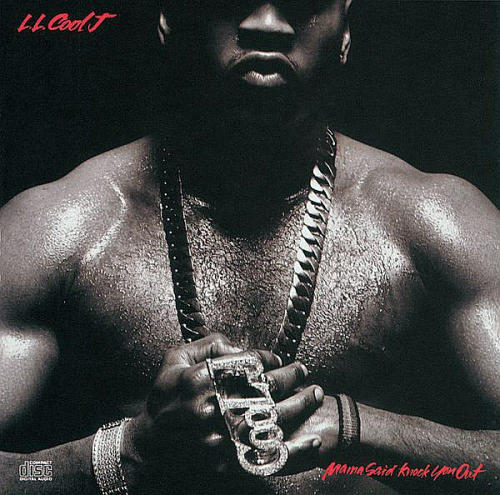 Although LL’s first true song was “I Need A Beat,” “I Can’t Live Without My Radio” was for many their first exposure to Cool J. Already a strong song, his cameo in Krush Groove just added to its hardness (see the clip below). LL and crew members E-Love and Cut Creator bumrush the offices of Krush Groove records. DMC, Dr. Jeckle and Mr. Hyde, Rick Rubin, and everybody present try to kick him out; Jam Master Jay even threatens to pull a gun. None of this is a match for LL’s skill, which he shows and proves and gets signed on the spot. Of all his songs, I felt this one the most because at the time, I couldn’t live without my radio EITHER. On that same album (Radio, for the headz who came late to the game), LL recorded what could be his theme song. 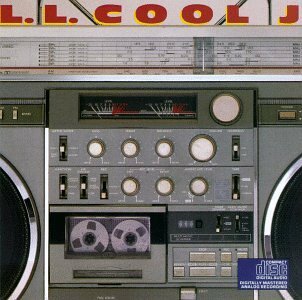 From the first lines: “LL Cool J is hard as hell! !” backed by guitar scratches ripping up the track, “Rock the Bells” has always been a classic. According to Ego Trip’s Book of Rap Lists, Bells originally sounded so much like “Peter Piper” that Run screamed on LL until he switched up the sample. Voila, a hit was born. The Bells again? You read right. It’s a track that stays hard no matter what you do to it. 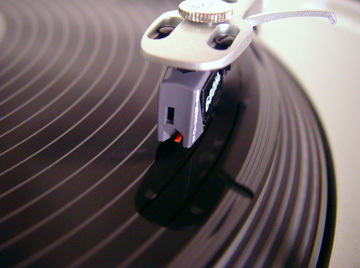 This was back in the day, when not just DJ’s but also regular people bought 12-inch singles (that seems so quaint now). Everyone who ran out and bought the 12-inch of “Rock the Bells” got this non-album cut on the B-side. But the only thing this version had in common with the original Bells was the title. It’s seven minutes of LL rapping over a live drummer, telling the world why he’s the best. Trivia alert: This one song set off one of the earliest and most legendary beefs in hip hop. 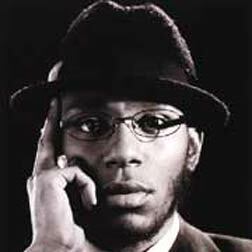 The beat the drummer plays sounds almost identical to the beat MC Shan uses on “Marley Scratch,” so MC Shan dropped “Beat Biter,” a diss record calling LL out. LL didn’t respond. But on the Beat Biter B-side, Shan and Marley Marl recorded a song telling the people where they were from: “The Bridge.” Well, some kids in the Bronx heard The Bridge and thought Shan made it sound like hip hop started in Queens, so THEY made a diss record. Those kids’ names, by the way, were Kris Parker and Scott Sterling, better known as KRS-ONE and DJ Scott La Rock. Thus was born the war of words between the legendary Juice Crew (Marley Marl, Big Daddy Kane, Roxanne Shante and Biz Markie) and Boogie Down Productions. More than once, LL was on the brink, I mean right up to the very edge, of falling off and managed, somehow, to hang on and come back strong. The title track from his 4th album begins “Don’t call it comeback.” But really it was. Between his 2nd and 3rd albums, hip hop made a 360. A group named Public Enemy released arguably the greatest rap record of all time, It Takes A Nation of Millions To Hold Us Back, BDP released By All Means Necessary, and Big Daddy Kane dropped his 1st album. 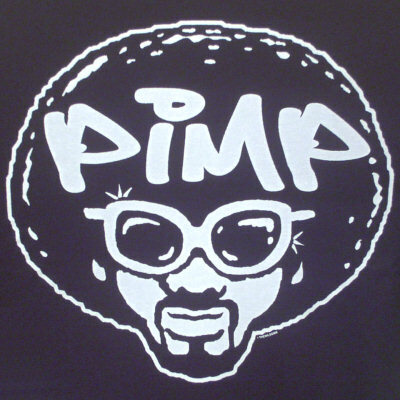 It was nation time: revolution, knowledge of self, 5 Percent, black nationalism, et al. So LL released Walk With a Panther, a weak, pandering mess with no less than three ballads on the album. It’s time to party for your right to fight, and LL’s licking his lips telling us what type of guy he is. All that just to say the future wasn’t looking too bright for one James Todd Smith. Enter Marley Marl. Marley had just left the Juice Crew and was a free agent so what do you get when you mix a legendary producer and a legendary rapper looking at the possible collapse of his career? A straight classic. The album Mama Said Knock You Out busted out of the box with three hit singles: “Boomin System,” “Around the Way Girl” and “Mama.” The beat was hard, LL was raw and he left no doubt of what would happen if you stepped to him. Unfortunately, LL was never this hard again. Sure, he’s had tracks that had some roughness to them but none since then where you heard the hunger in his voice. After reading this, some might get the impression that Grown Headz is really all the former members of the Cool J Fan Club. Not true. But when you consider that all of LL’s early contemporaries, such as Run-DMC, the Fatboys and Whodini, have all fallen off and in some cases died (RIP Jam Master Jay and Buff Love the Human BeatBox) and LL is still having hits and is one of the few rappers whom a Mom and daughter could both see and like in concert, you’ve gotta admit it’s pretty amazing — no matter how creepy you feel about the lip thing. Once again another mix. If you love it leave some comments, if you like it rock it, if you hate it I’ll try harder next time. By the way since this is National Dark Skys Month I figured it would make a nice name for a mix. By the way TURN OFF THE LIGHTS!!! Go outside and enjoy the stars. Police investigating a boat that exploded on a San Pedro pier discover 27 bodies and $91 million in drug money. The only survivors are a severely burned and very scared Hungarian terrorist and Verbal Kent, a crippled con man. Reluctantly, Kent is pressured into explaining exactly what happened on the boat. His story begins six weeks earlier with five criminals being dragged in by New York police desperate for suspects on a hijacked truck and ends with the identification of criminal mastermind Kaiser Soze. Truly a great movie — if you haven’t seen it, rent it now. Don can bring the world-weariness the part demands and can convey hints of an infamous past that everybody has heard about. 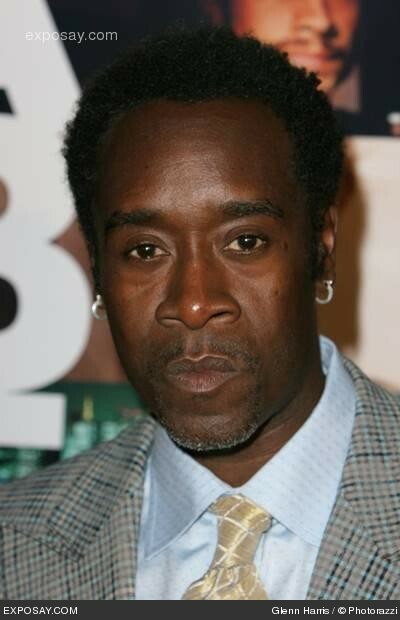 We also know Mr. Cheadle can play dangerous men; remember Mouse from Devil in A Blue Dress? Plus, Don da man. McManus was a wild-out commando type who was down for his partner but wasn’t afraid to go solo. While we all know Mr. Snipes can get physical from the Blade series, and figured this could be Wesley’s comeback movie, it has to be noted that MJ White (of Spawn, not Trois physique) is nice with his hands, and has Snipes by more than a few years. This is the role that introduced Benicio del Toro to the world. One of the main ticks of the character was that we could barely understand him. So we figured Idris can finally use his real British accent in a role (you do know he hails from England right? Right?). Plus he can use all that Stringer Bell charisma. Unfortunately, he’s the first to catch one. “You’re dumb, that’s why he picked you, Verbal!” As Special Agent Kujan, Chazz was all up in Spacey’s personal space, bull-headed, confident and loud. If you used to watch The Practice back in the day, you know our man Steve Harris could be the same way: intimidating and in your face. Plus, some folks round here seem to think he’s sooooo fine. Kobayashi was the mysterious, ever-cool and racially ambiguous lawyer of the elusive Kaiser Soze. Jeffrey Wright has played a Puerto Rican drug dealer, a drag queen named Brazil, a CIA agent, AND Dr. Martin Luther King. With his skills, the brother can do any role he sets his mind to. So why not Kobayashi? *FYI: Want to watch this flick free? Go to Hulu.com and have it streamed to your computer at no charge. Yeah, yeah its not hip hop but I do believe that most grownheadz will recognize Purple Rain. Back in the day I always felt like if I could have talk to girls like Morris Day I would have been alright, but I digress. A slightly funny part from the movie. It’s the end of an era. “The Wire” was one of the most poignant, authentic, heart-wrenching series of its time. Although the show may have not been as popular or high in ratings as other HBO series like “The Sopranos,” it developed a cult following, and the stories about politics, schools, media, crime, and the police force resonated with people on many levels. I especially enjoyed it because it was so real and relatable for people who live in urban areas like Baltimore. We all know a Dookie, a Michael, a Bubbles, a Marlo, and even an Omar — an ordinary individual who becomes an extraordinary legend through time as stories are passed on. The characters that tore apart people across the board were the kids from the Fourth Season: Michael, Dookie, Namond, and Randy. I’m a regular reader and contributor to the blogs out there on The Wire, and I found that a great majority of the comments were in sympathy for these boys. Of all the character outcomes, most people rooted for the kids to overcome their potentially doomed fates. When I saw Dookie lighting up in the ending montage, I too was broken hearted. How can someone — a kid no less — go through so much and have no real choice or hope for their future? The sad truth is that a lot of kids are like Dookie and are doomed out of the womb. I think this show was a great platform to educate the public about the pressures, pitfalls, and disparities of living in poverty-stricken areas. People have learned that criminals are not born, they’re made. Maybe The Wire will galvanize a stronger response to help those in these circumstances. 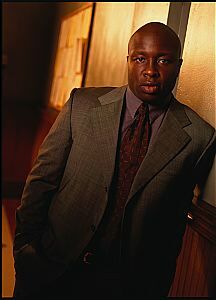 Another reason I will miss The Wire is because of its stellar cast. From the corner boys, to the ambitious yet wayward politicians; from the sometimes crooked/sometimes honest po-lice, to the people caught up in the hood and trying to make a better way, they were all convincing. Never mind the cast was at least 60% African-American. How often do you see that in a drama series, or any television show for that matter? I just hope that now since the show has wrapped up, these actors can find roles — meaningful ones. I will miss The Wire. It may be a long time before another series comes out that I love and hate at the same time.